We have worked with Melody for the past few years. As in all real estate transactions, there are bumps and hiccups along the process. We found Melody to be good fit for us. Calm and quite competent Thanks, Melody. In touch with the needs, and wants of all clients. Professionalism, integrity, kindness, humility, and compassion, are just a few words to describe the Mixon Real Estate Group. My only complaint concerning this review is there isn’t enough stars to represent how I truly feel. Lori is the absolute best in town!!!!! She made me feel like family! She went above and beyond to not only find us a new home but sale our old home too. If you want absolute professionalism and discretion come see her at Mixon real estate group! I just love ms Lori. She is an outstanding kind person. Son muy amables y atienden alas personas muy bien y te ayudan en lo q ellos pueden ayudarte. They are very kind and they take care of the people very well and help you in what they can help you. Lori has sold 2 homes for me..both houses were sold in a very timely manner. She is very personable and professional. She will do a great job for you. Thank you Lori! Lori Mixon is the name we trust when it comes to buying or selling a home here in Okeechobee. Years ago we walked into Lori's office with a dream of buying our first home to start a family and like the professional she is, she made the process of our first big purchase so easy. Lori Mixon and her staff made us feel comfortable with the idea of home ownership and they were very thorough with our first home purchase. It was because of this attention to our needs that when it came time to sell our first home, we came back to Lori and her wonderful staff. Thank you Lori for making home buying and selling, stress-free. I wanted to sell a vacant lot in Okeechobee. Lori helped me determine a price for the lot and found offers for me. Although some offers were less than the listing price, I ended up getting full price for the lot. Lori was a great help. Any real estate broker can represent a buyer or seller. The broker may or may not handle your sale or purchase successfully. You won’t know until the purchase or sale is completed. Even then you won’t know if the broker did all he/she could have done to get the most for you. Are you willing to use “just any broker” to handle what is probably the most important financial decision you will make? I am not. That is why I used Lori. As with many brokers, Lori has several years of experience. More importantly she is also known for hard work, credibility, integrity and ethics. A broker like that gets results while other brokers fail. Lori is able to make deals work that would fall apart with a lessor broker. Could those be the reasons Lori year after year is the highest producing realtor in Okeechobee? My husband and I recently purchased our first home together in Okeechobee. Lori Mixon made it an enjoyable and easy experience. I can't say it enough how blessed we were to have her as our agent! 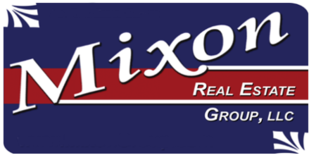 We would highly recommend Mixon Real Estate Group to anyone! Lori and her team were a pleasure to work with. I worked with her as the lender on a short sale my buyers were purchasing. As we all know short sales can be very trying. However, Lori and her team were right on top of things and controlling the entire transaction to make it a seamless process for the borrowers and everyone involved. If you are looking for an agent in the Okeechobee area that has the knowledge and professionalism to either sell or get you into the home of your dreams, then look no further than to Lori and her Team at Mixon Real Estate Group! Lori Mixon helped us buy a home and then a few years later helped us sell it. Both times she went above and beyond in getting the best price for us. She knows the real estate business very well. She also goes out of her way to be helpful in other ways in providing information about local businesses and utilities. I would recommend her to anyone.